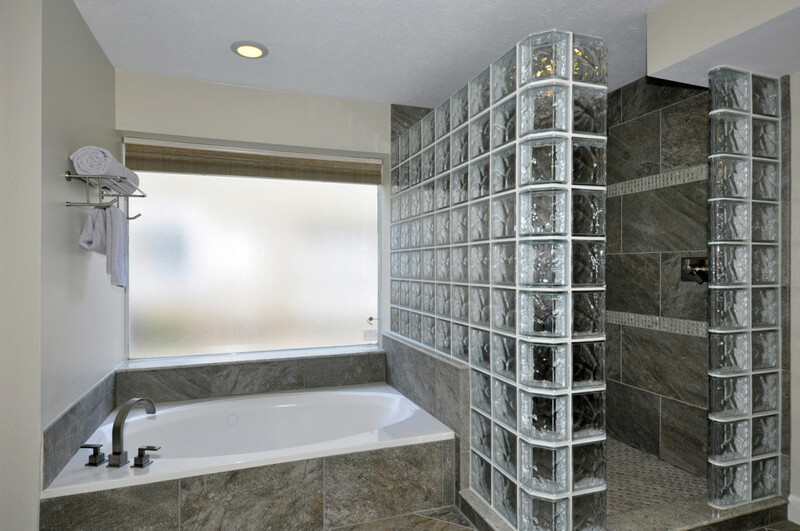 New, shaker look cabinetry, hardware, and curved glass block shower enclosure combine for a contemporary Master Bath. 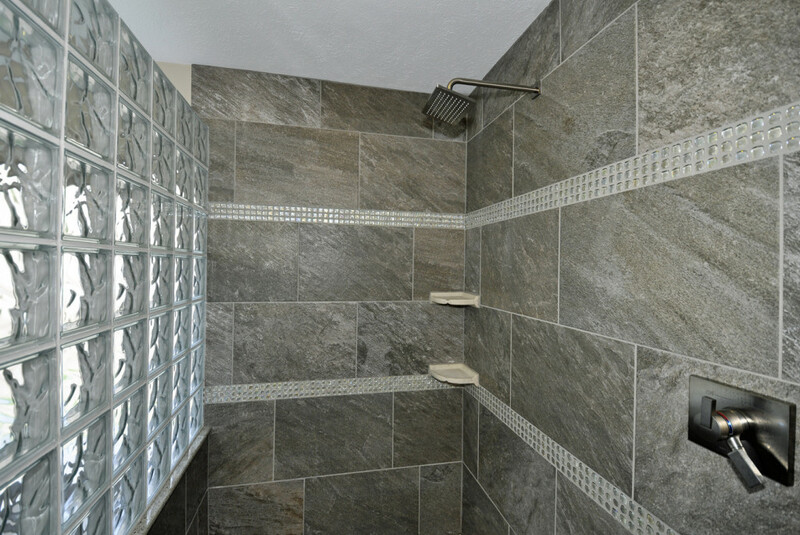 The rectangular shower wall tile, installed in a staggered pattern and featuring two separate rows of bubble glass decorative tile add to the modern look. 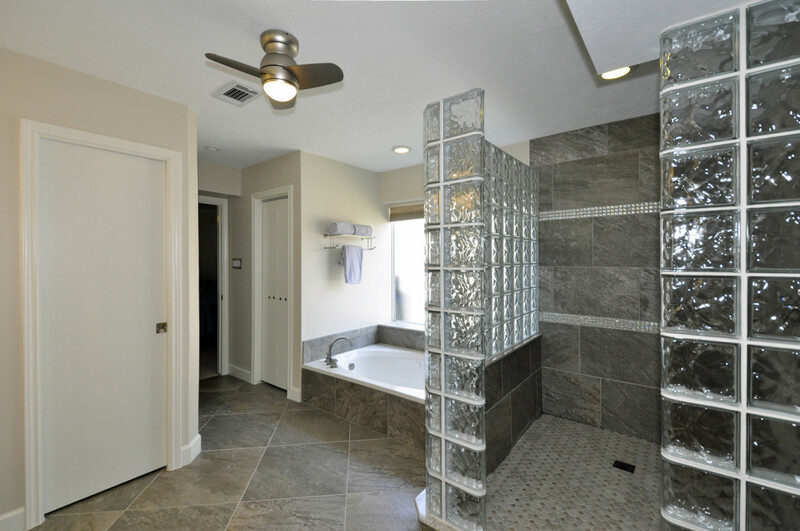 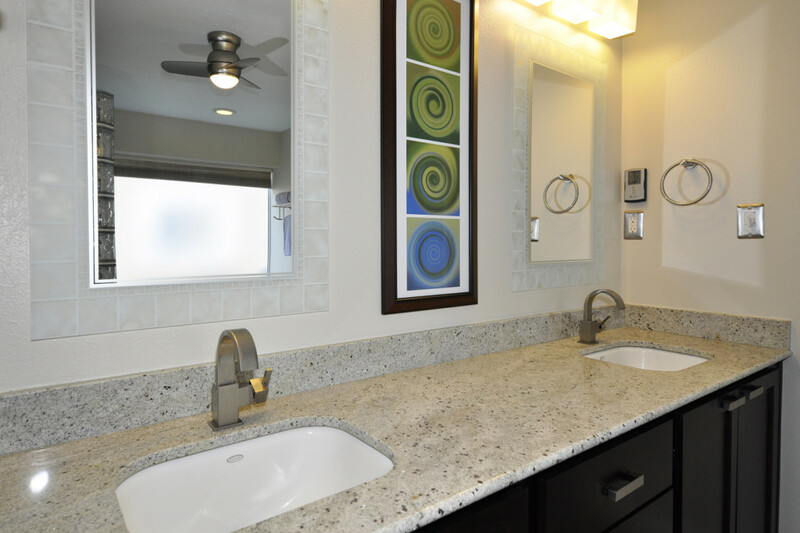 Notice the location of the shower faucet that allows the water to be turned on before entering the shower. 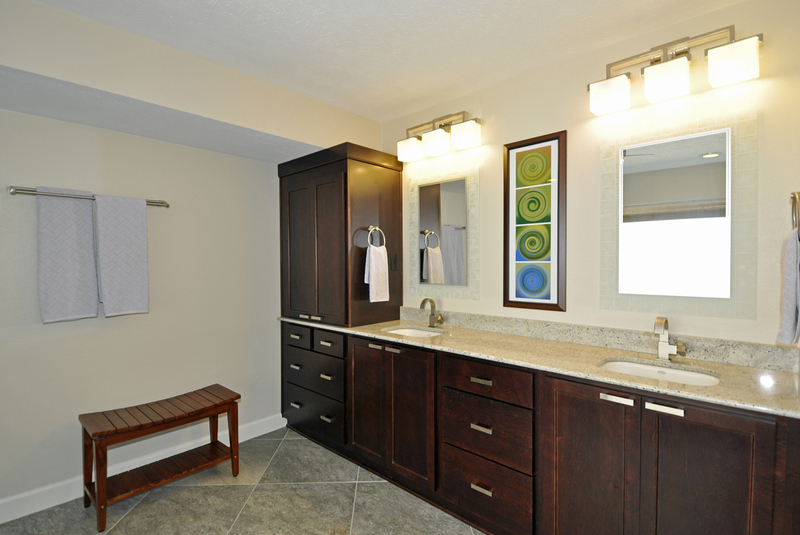 One of the two small, original closets was eliminated, which allowed for the new, larger footprint for the walk-in shower without a shower door. 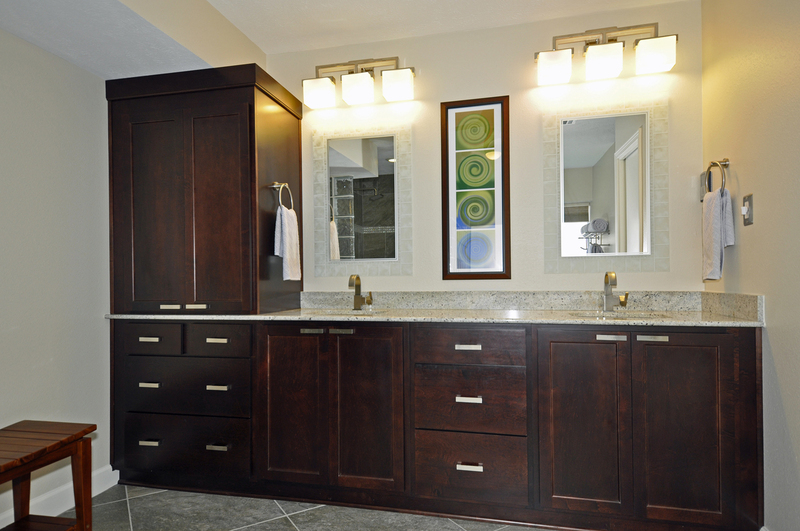 The remaining closet was enlarged and resulted in improved closet storage. 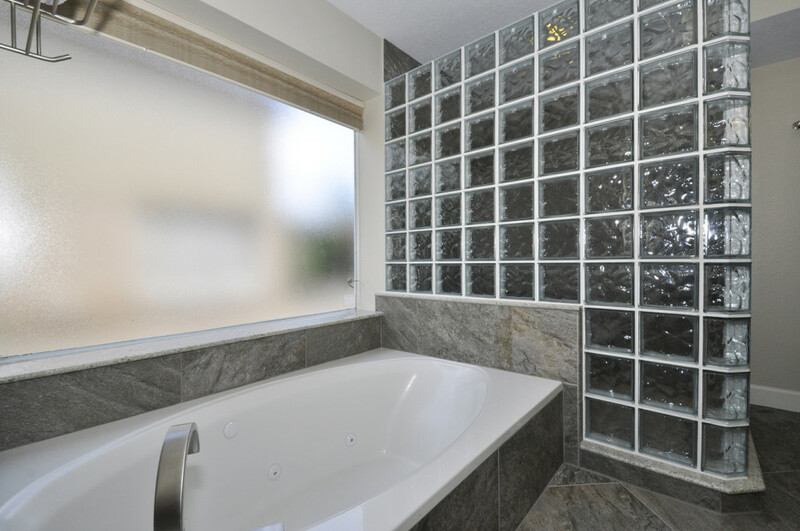 The new opaque window above the tub adds style and privacy to the cool tones of the room.